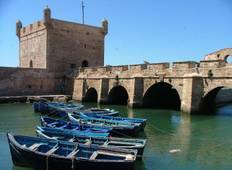 "As a diverse experience of what Morocco has to offer this was a great tour. Hotels..."
"One word: Chefchaouen, the Blue City - this place alone made this trip for me! One..."
"Guide was amazing, hotels ranged from amazing to bad. 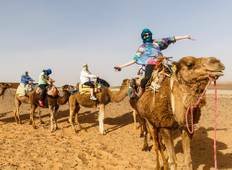 The schedule was super jam..."
"From the busy souks of Marrakech, to the high Atlas Mountains and from the Sahara..."
"Number of tourists at 48 tourists per group is recommended to revise. Abit too crowded."